Reviews of Polyphony's recording of Bach's St John Passion with the OAE include BBC Music Magazine "This new recording’s credentials border on the unassailable" and Presto Classical "It’s remarkable simply because it’s practically perfect in every way". 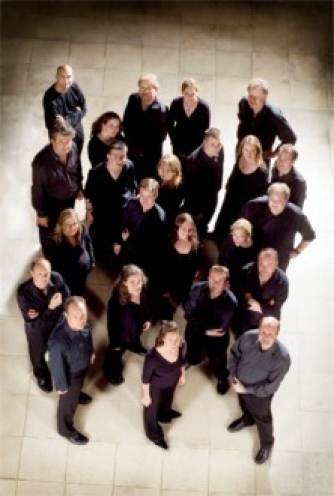 Formed by Stephen Layton in 1986 for a concert in King’s College Chapel, Cambridge, Polyphony has performed and recorded to great critical acclaim throughout the world, reviews declaring it "one of the best small choirs now before the public" (Telegraph) and "possibly the best small professional chorus in the world" (Encore Magazine, USA). The OAE has for the last three decades shocked, changed and mesmerised the music world. As this outfit with the funny name began to get a foothold, it vowed to keep questioning, adapting and inventing as long as it lived. Playing on period-specific instruments became just one element of its quest for authenticity. It still pushes for change, and still stands for excellence, diversity and exploration – and today it is cherished more than ever. This year’s top soloists are as always hand-picked by Stephen Layton – some well-established such as Neal Davies as Jesus, and Evangelist Nick Pritchard; some newer to the concert platform including Rowan Pierce, presented with the President's Award by HRH Prince of Wales at the Royal College of Music in 2017, Helen Charlston, winner of the 2018 Handel Singing Competition, and Ruairi Bowen, who prior to the SJSS performance makes his Australian debut with Stephen Layton and the Adelaide and Tasmania Symphony Orchestras. Ashley Riches, a BBC New Generation Artist, returns to sing the bass arias.